Along the historical Moçambique channel lies tropical Ilha de Benguerra. 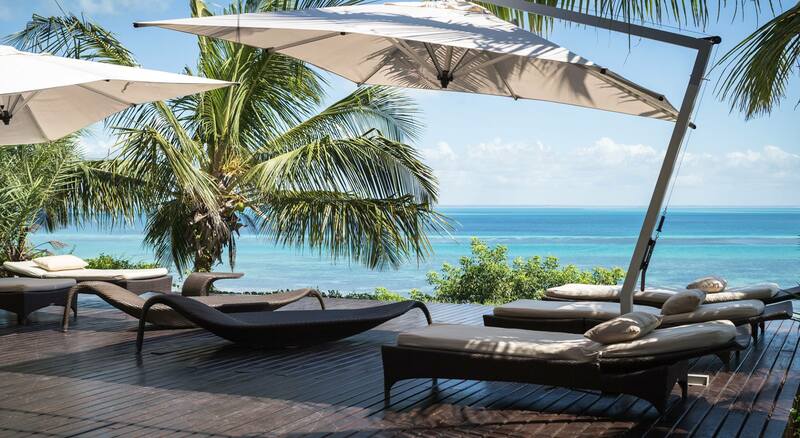 It is here that Benguerra Lodge – a unique and incomparable African island paradise – is washed by the warm turquoise waters of the Indian Ocean. The Lodge is small and intimate and offers genuine hospitality, personalised service and an intimate knowledge of the natural environment. It has a rich East African/Arabic feel – evinced in both the décor, and the unique and delectable food. The rooms all merge naturally into the surrounding forest and are only moments from the gorgeous silver-white beach of Benguerra Bay. Benguerra Lodge is passionate about conservation and dedicated to the involvement of the local community in conserving this idyllic corner of the world. This is barefoot luxury at its very best! There are three different kinds of accommodation at Benguerra – each with their unique characteristics and attractions. The Cabanas - are built right on the edge of the beach. Romantic and elegant, the suites offer guests the chance to experience the ultimate island getaway. Queen-sized bed with mosquito net. Large bathroom with bath, shower and outdoor shower. Private deck with jacuzzi/plunge pool and sun loungers. The Casitas - A home away from home, where the eco conscious traveller can relax and enjoy the spacious and luxurious comforts to be found in this African Island Paradise. The Casita embraces Benguerra’s unique blend of safari chic and Arabic style. Each Casita has a Queen size bed with mosquito net. 100m2 of private timber deck with plunge pool. Outdoor dining gazebo for starlit dinners. 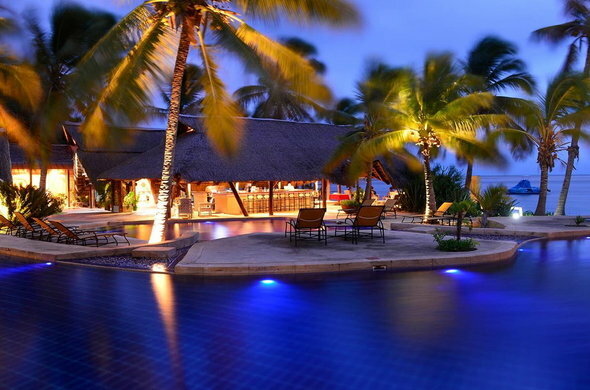 Villa Chibuene - is the epitome of exclusivity. The luxury furnishings and private facilities make it an ideal place for those wanting unsurpassed comfort and privacy, honeymooners and families. A personal chef prepares all meals at the Villa, although the main lodge's dining facilities are also available to Villa guests, if desired. Two double bedrooms (which may be converted into twins). Mosquito nets and overhead fans. En-suite bathrooms with beautiful copper baths. Outdoor showers with intricate mosaic inlays. Intimate lounge and dining area. Private wooden deck and swimming pool and Direct beach access. Large Reception Area and Gift Shop. Expansive Lounge and Bar, Dining Room – all with large wooden decks and indoor and outdoor seating areas. Meals at Benguerra Lodge are comprised largely of freshly caught seafood – with delicacies such as prawns, crab and crayfish. Traditional Moçambican cuisine, Portuguese flavours and a variety of delicious dishes make up the daily menus. Breakfast and lunch are buffet affairs, while dinner is a set menu. Guests with special dietary requirements can be individually catered for. The island and the lodge provide a variety of settings for lunches and dinners which contribute to the magic and romance of the island experience. There’s much to discover on and around the Island. 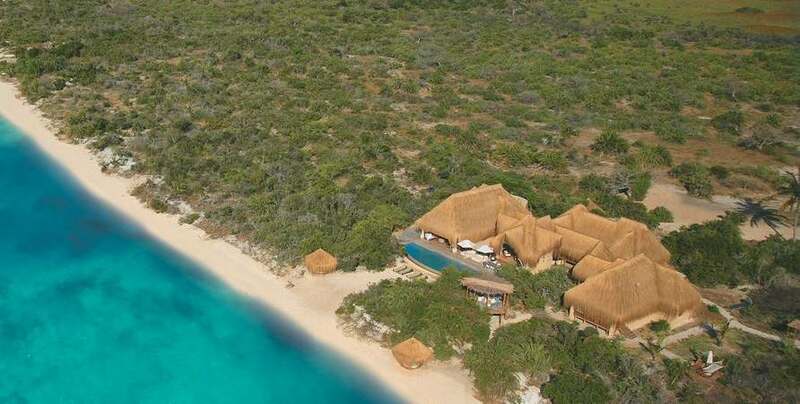 On foot or in an open Landrover, the choice of how you explore Benguerra Island is entirely up to you. They take great pride in their personal service – and whether you are snorkeling on the Archipelago’s magnificent reefs, or casting a fly from a boat – you will have an experienced guide with you. Diving & Snorkelling / Fishing / Dhow cruises / Castaway picnics / Landrover trips / Bird watching / Island walks / Village visits / Sea kayaking / Catamaran Cruises / Horse Riding.